Whitebridge Advocatuur BV received recognition for the many years of diligent dedication towards our clients. 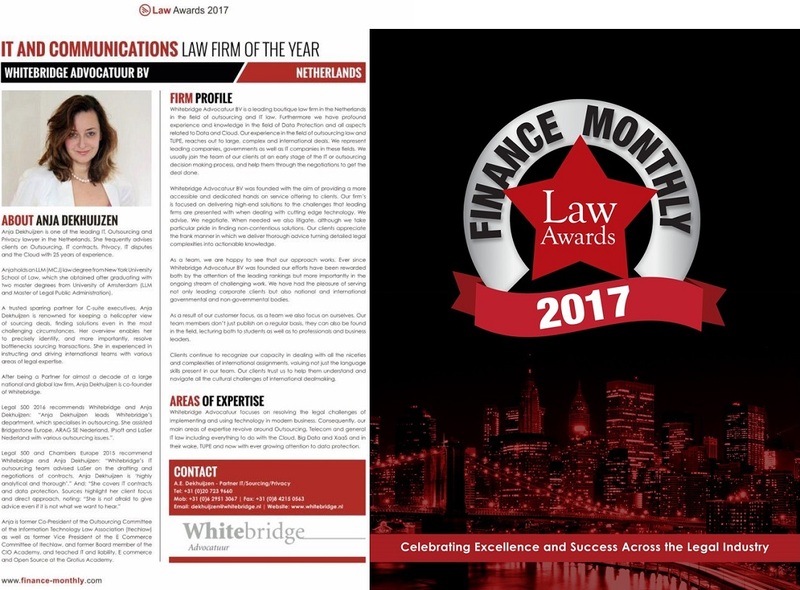 Finance Monthly has awarded Whitebridge as the IT and Communications Law Firm of the year 2017 in the Netherlands! As a team we are very proud with this award and we would like to express our great appreciation to all our clients who made this possible.